T3 Agenda: HP Spectre 13 is the thinnest touch laptop ever. Burn rubber on Triumph's new Speedmaster. And more! HP has announced the new Spectre 13, the thinnest touch laptop the firm has ever produced at 10.4mm. The sleek design isn't just for show either, underneath the hood its boasting eight-gen Intel processors, so you're getting some seriously beefed up specs for you cash. The updated Spectre 13 has a touchscreen option, and the option to support 4K, with neither of these features being available in last year's iteration. 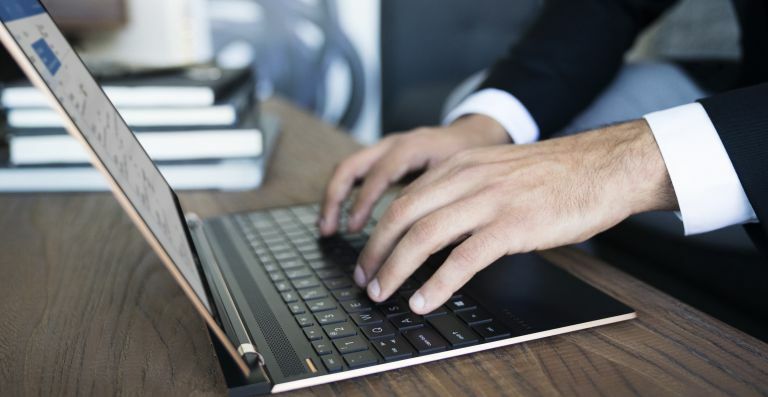 HP also claims its improved the battery life of the Spectre 13, with up to 11 hours of use out of a single charge. It's priced at $1,299.99 (£989) and will be available from 29 October. Legendary British motorcycle maker Triumph has launched the new Bonneville range, including the impressive Bonneville Speedmaster model. The new model features the classic ‘nacelle’ headlight detailing, swept back beach bars, forward pegs, fixed rear mudguard and 16” wire spoked wheels. It features a large 12-litre fuel tank for increased range and comes with easily interchangeable twin and single seat set ups for added versatility. The Bonneville Speedmaster will be available in three colour finishes - Jet Black, Cranberry Red/Jet Black and Fusion White/Phantom Black - and will be available in early 2018. No word yet on an official price. Libratone has unveiled a new line-up of Google-certified Q Adapt In-Ear USB-C and On-Ear MfG headphones designed for use with the latest Google hardware devices. Developed specifically for the Google Pixel 2, the new Q Adapt line-up features two models: USB-C powered earphones and wireless On-Ear headphones. Delivering outstanding sound quality, both versions offer Libratone’s adjustable noise cancellation (ANC) feature, CityMix, that enables you to tune your audio according to your surroundings. The Q Adapt In-Ear USB-C are priced at £129 and the Q Adapt On-Ear headphones are priced at £219 - both will be available from 1 November. If you're the kind of person that still has an impressively vast CD collection, and you want to make sure that almost antiquated platform sounds as best as it can, then you're going to need a powerful SACD/CD device like this one from Pioneer. The PA-70AE is the firm's new flaghship SACD Player & Digital to Analogue Converter and enables you to adjust even the minutest elements of each recording so the sound you get through your speakers is tuned to your tastes. The Pioneer PA-70AE is priced at £1,999.99 in silver from November. Abbey Road Studios, the legendary home of some of the most influential albums ever recorded, has just launched its first ever app today for iOS device. It's called Topline and it's all about helping young and inspiring songwriters capture those moments of musical inspiration as they happen. You can share files easily, sing over imported tracks, add lyrics, tags and pictures, find previous work at speed, and always have space for new ideas by synching songs to your favourite cloud. The Topline app is free and is available to download from the App Store right now.